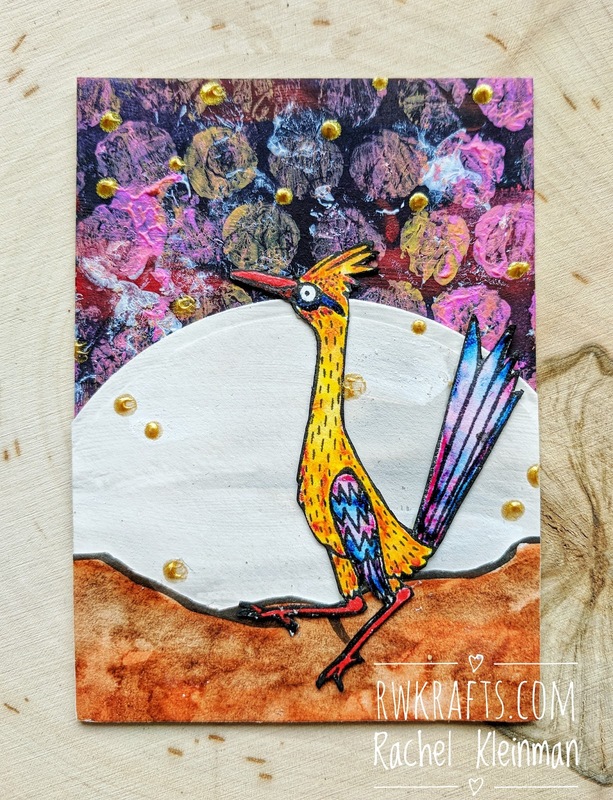 Welcome back to another Stampotique Designer's Challenge! This week the challenge is "Spots and Dots" so it should be easy to play along how you like. 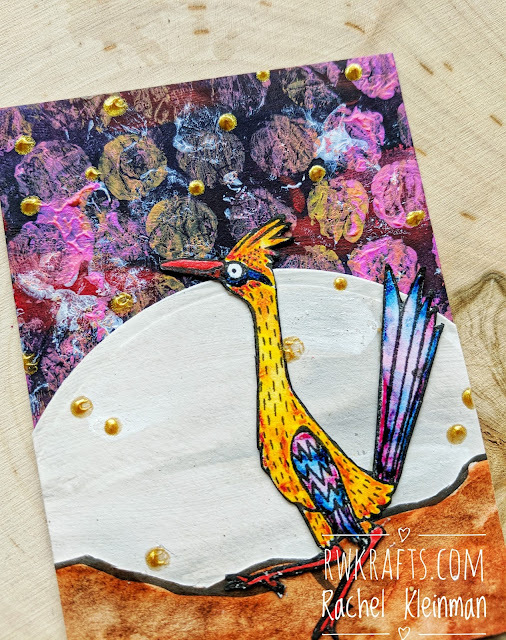 I had so much fun with this background and look at those awesome new stamps! 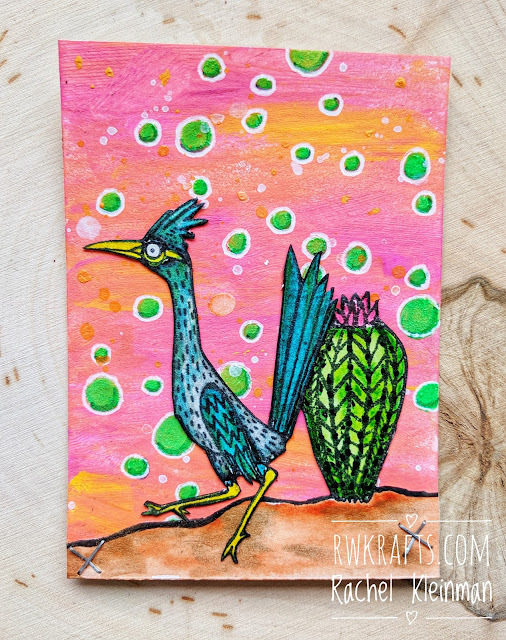 I used Stampotique "Road Runner" and "Cactus Row" to create these ATCs. 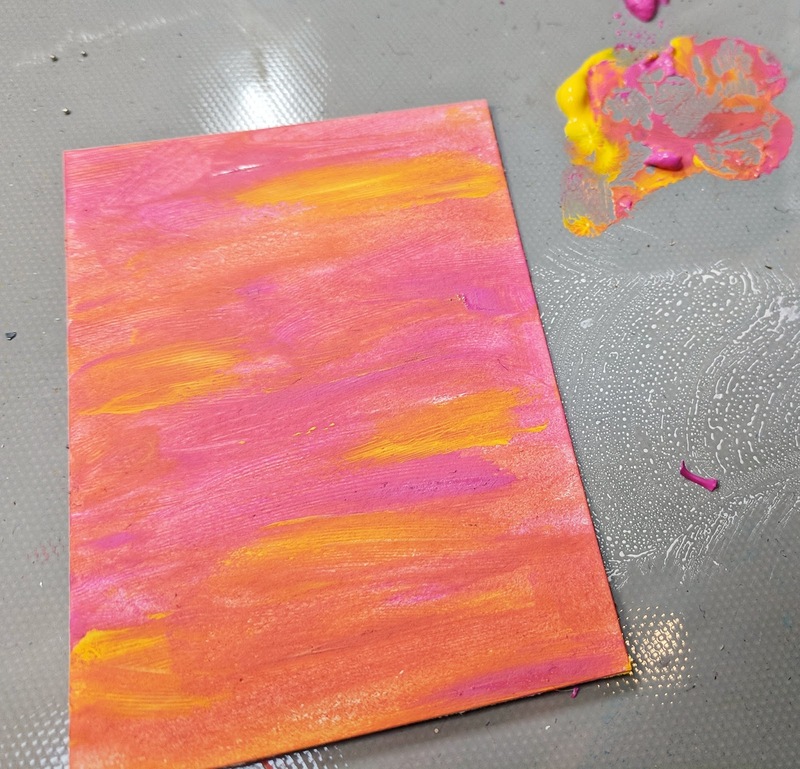 I started with a 2.5"x3.5" piece of Strathmore Mixed Media Paper and painted it with my index finger using Dina Wakley Acrylics in Lemon and Magenta. I wanted the colors to very loosely blend to make a tiny bit of orange. I love that you can still see the streaks of yellow and pink! Now it was time to add some polka dots! I first painted polka dots with Liquitex Gesso to cover up the paint. Then I colored in the gesso'd dots with my Liquitex Paint Marker Flourescent Green then added some very simple shading to the bottom of each circle with a Faber Castell Phtalo Green pitt pen. Lastly I outlined each circle with my white Gelli Roll pen to make them really pop! 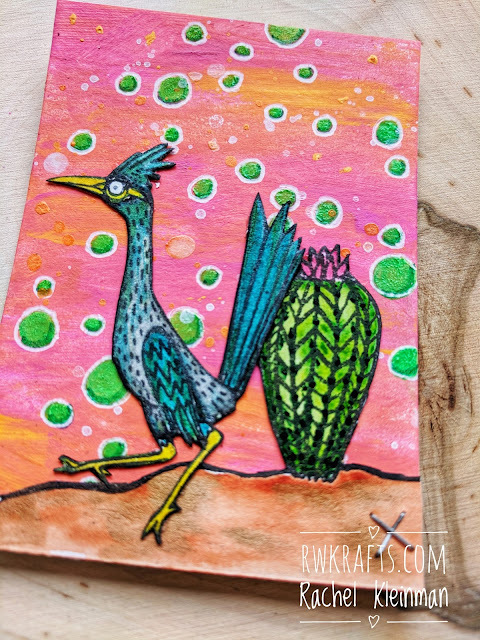 The Road Runner and Cactus were colored with my Kuretake Gansai Tambi Watercolors... that I'm obsessed with! There is so much pigment in these watercolors!!! I was hoping it looked like the moon behind the roadrunner? Maybe? 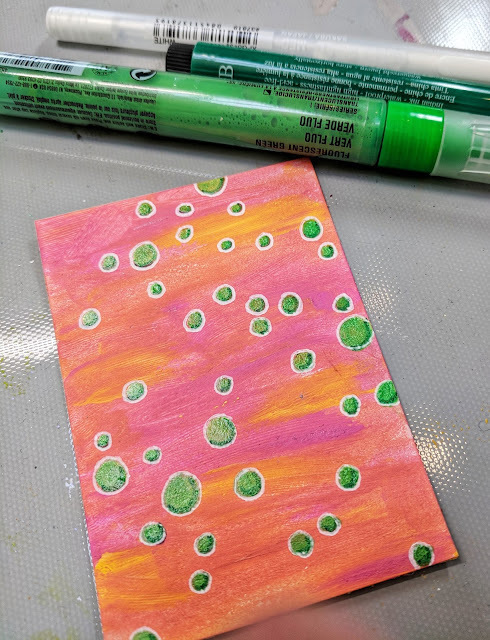 I made these spots and dots by painting my left over pink and yellow paint on a piece of bubble wrap, then using the bubble wrap like a stamp for my background. The roadrunner and ground were also painted with the Kuretake watercolors. Thanks again for visiting! Make sure to join the latest Spots and Dots Stampotique Challenge!